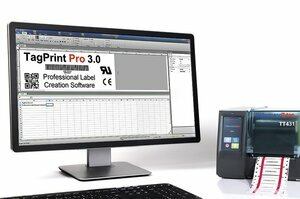 TagPrint Pro 3.0 is the easy-to-use label/marker design and printing software in the HellermannTyton printing. 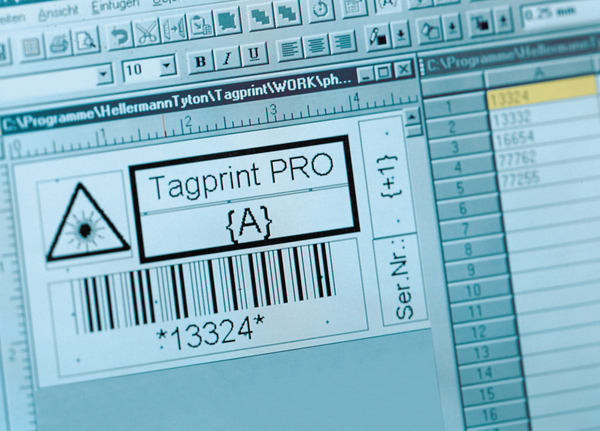 Compatible with Windows® 7, Vista and XP as well as future operating systems such as Windows® 8, TagPrint Pro 3.0 delivers an individualised, task-based experience that enables a user to easily develop print templates including bar codes, text and graphics to meet numerous applications. 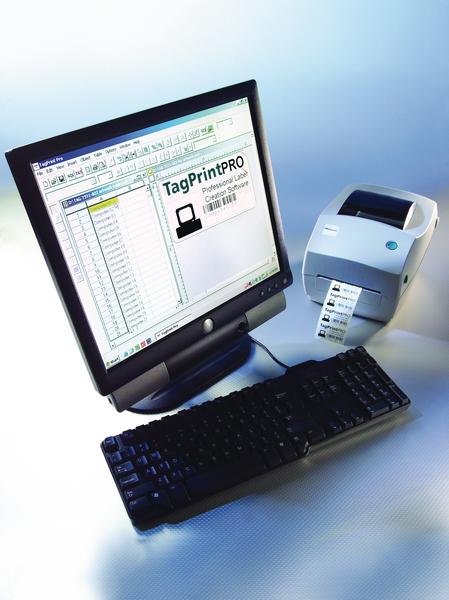 TagPrint Pro 3.0 streamlines labeling production by offering a user full control over the importing or entering of data, advanced security features, the option to group label designs under a single file name or job number, and the ability to batch print to either one or more printers at the same time. Description Modeled after the new Office 2010 suite of products, TagPrint 3.0 is a revolution in simplicity in design and ease of use. 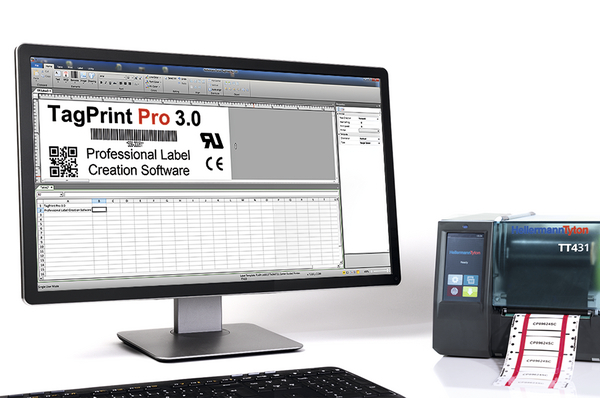 The advanced feature set is easy to navigate and control and improves on all the existing features of TagPrint Pro 2.0 with the addition of many powerful new capabilities which include Network user and Network printer compatibility, auto sizing barcodes, powerful import utilities as the ability to have multiple templates and databases open at the same time. Even printer settings can be saved with each label design, allowing for the automation of the printing process using macros and scripts. System Requirements TagPrint Pro Standalone/TagPrint Pro Client PC running Microsoft Windows XP SP3, Vista SP1 or later, Windows 7, 8, 10 .NET Framework 4 512 MB RAM (XP SP3) 1.0 GB RAM (Vista/Windows 7, 8, 10) 500 MB available hard disk space.